In a two previous blog posts, here and here, I gave an overview of various ways to build a calendar table in DAX. 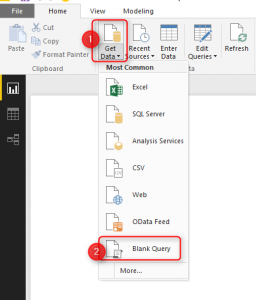 I also alluded to it being quicker to build these using Power Query or the Power BI Editor. Why do I need a calendar table? As a quick summary, when using DAX time intelligence functions, you need to have a date table included in your Data Model. The date table must include a column with one row for every day of each year included in your data. We will be building a dynamic calendar table which be based on the Min and Max date of your fact table. As mentioned, we have prepared a script that will create a date calendar dynamically as depicted above. 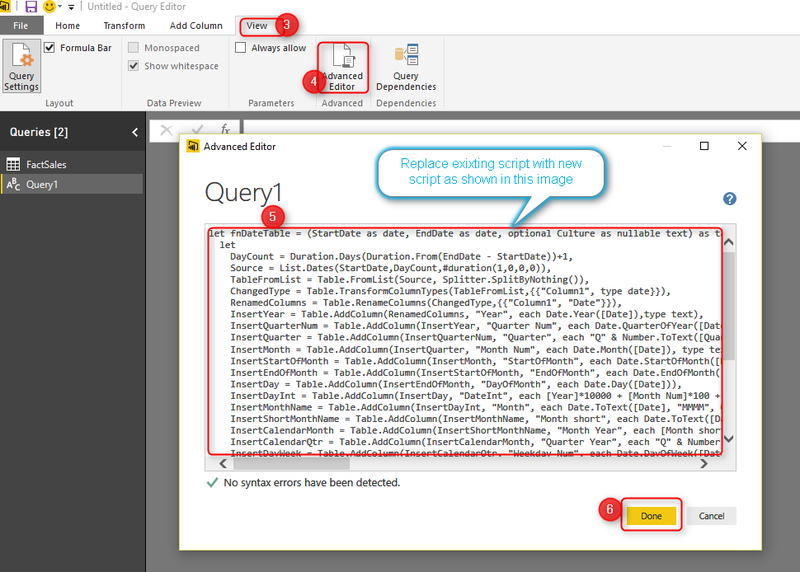 This Power BI Query Editor script can be added to any Power BI report. With this function we are taking two input parameters, the start date and end date, from these, this function generates a list of continuous dates and then derives the other columns like Year, Quarter, Month, Week etc. from this date list. The second part is the consumption of this function. To use this function, we must provide the start date and the end date. These two parameters are dynamically obtained from the ‘main’ table in our data model, e.g. fact table or transaction table, which will contain a date field. As highlighted in blue above, we are providing the Min and Max value of the year from our fact table to the function which generates the date calendar. When following along, simply change the blue part of the script to match that of your fact table and the field containing the date. Excellent reference article. I’ll be book marking this. Thanks. Johann, I’m working on creating one of these dynamic calendars. Something is wrong, though, and I can’t find the problem. Would you mind taking a look at this screenshot and seeing if you can spot my error? Will need to check the brackets on this, if you provide me the file, I’ll check it for you. Please ensure that you are pasting the script to the advanced editor not the formula bar. The blog software converted the hyphen to an n-dash, and note that the quotation marks throughout the Function code are “smart” quotes. Just fix these items, and the function will work perfectly. We created a dynamic calendar with your script – thanks a lot, but how do I add to the table? We changed the script a little bit to have the end date in this month instead of this year, we did that in March so now I don’t know how to add dates in April? Thanks for sharing this wonderful code…I am trying to use m code to generate the calendar in minutes…. Glad you found the code useful. I have a dynamic calendar that allows you to pick the start and end dates. I’m unable to attach files to comments so will e-mail it to you. Hi Johann, great article. Your code is very helpful.